The Art Newspaper has this weekend disclosed the extent of unsold inventory, over 200 works, that are held at Damien Hirst’s gallery in London, White Cube, run by Jay Jopling. The article illuminates a situation for the artist, one of the most successful in the world, but also one of the most prolific, in which his traditional market may be less able to absorb the works at the pace at which he is aiming to produce them. 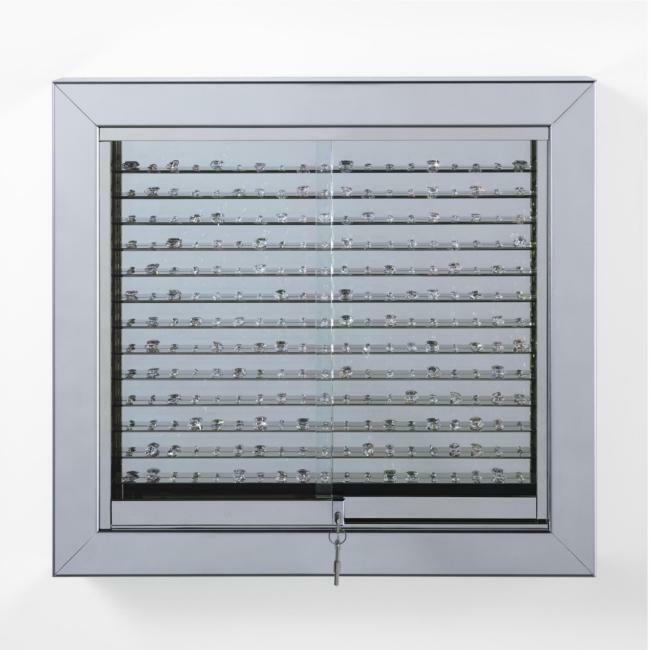 This evolving landscape has presumably led Hirst to explore, through the landmark and controversial upcoming September 15th Sotheby’s London sale, new sales portals and new pools of buyers. The Art Newspaper disclosure however, could perhaps have some ramifications for the Sotheby’s sale itself, as sophisticated buyers may take into account this newly exposed trove of similar work to that being auctioned, and simple supply and demand economics might as a result negatively affect pricing. Perhaps also interesting is the source and motivation behind the disclosure. 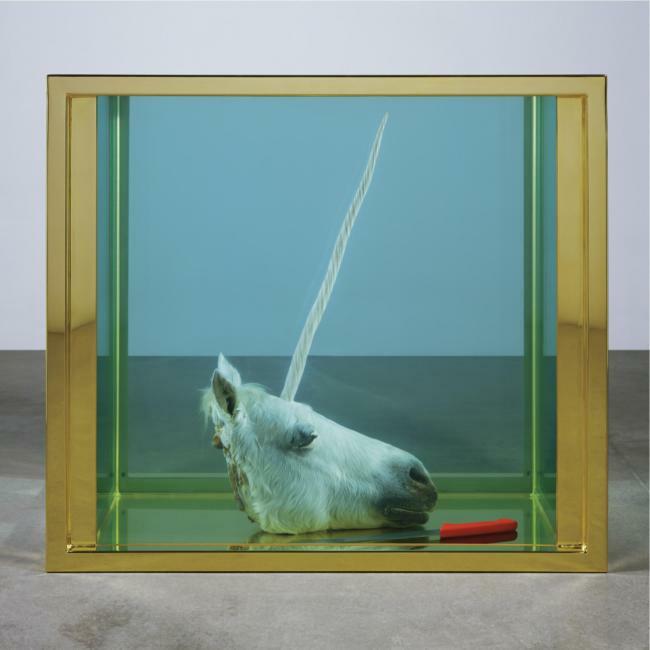 Hirst is represented since 1991 by Jay Jopling in London and since 1996 by the eponymous Gagosian gallery based in New York. Both dealers were ostensibly sanguine when the auction was announced. Gagosian said then through a spokesman: “As Damien’s long-term gallery, we’ve come to expect the unexpected. He can certainly count on us to be in the room with paddle in hand.” Similarly supportive, Jopling was quoted as saying: “I’ve stood alongside him in all his ventures including his strategic forays into the auction world, which have certainly helped to broaden his market. 8,601 flawless diamonds notwithstanding, ours has never been a traditional marriage and I look forward to many more adventures to come.” The auction has been been nothing if not controversial in its dramatic and bold shift in the way art is sold. One might wonder if the Art Newspaper disclosure would be welcomed by a circumvented dealer such as Jopling in that it might lead some of the buyers for the auction to come his way; or instead feared by him, in that a discovery of new inventory might weaken the prices at the auction and thus mark the inventory he holds to to a new lower value. As covered by Art Observed earlier this month, Damien Hirst announced in an interview released by Sotheby’s that several of his more signifcant, recognizable and lucrative series will be coming to an end this year, which could be seen as an attempt to price assure those buying at the September 15th auction against further inventory coming onto the market. Over 300 Works are for sale at the September 15th auction held at the New Bond Street Sotheby’s location in London. 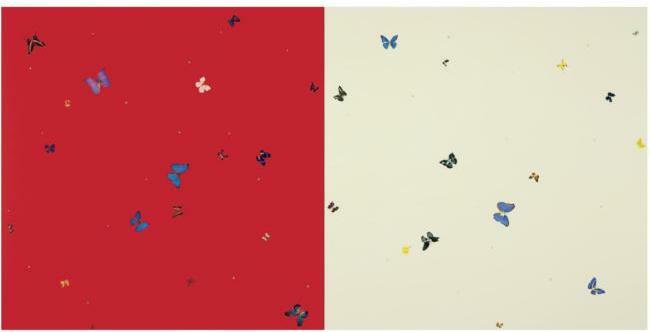 The sale marks the 20th anniversary of the ‘Freeze’ show mounted by Hirst, which was also a non-dealer undertaking. 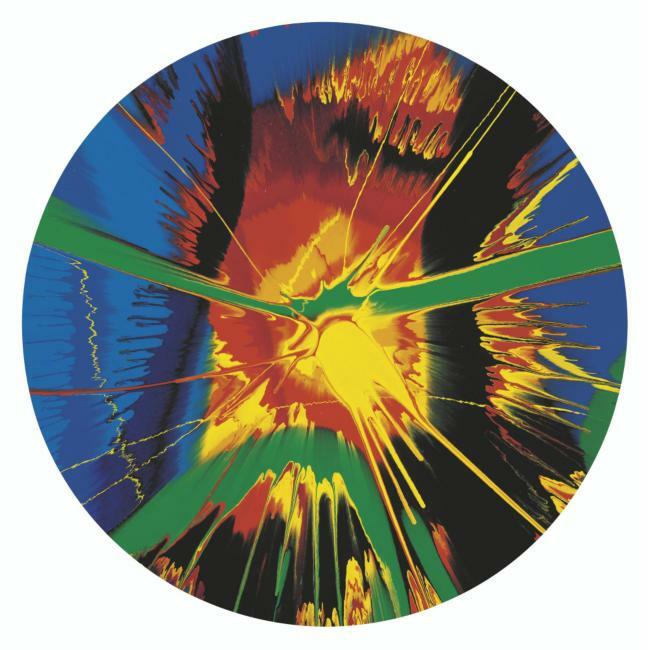 In 2004 Hirst also once before sold directly to the public, and also through Sotheby’s, through the auction of the contents of his restaurant Pharmacy, which then brought in £11 million. This entry was posted on Monday, August 25th, 2008 at 12:46 am	and is filed under Art News. You can follow any responses to this entry through the RSS 2.0 feed. You can leave a response, or trackback from your own site. Is this clown serious?! 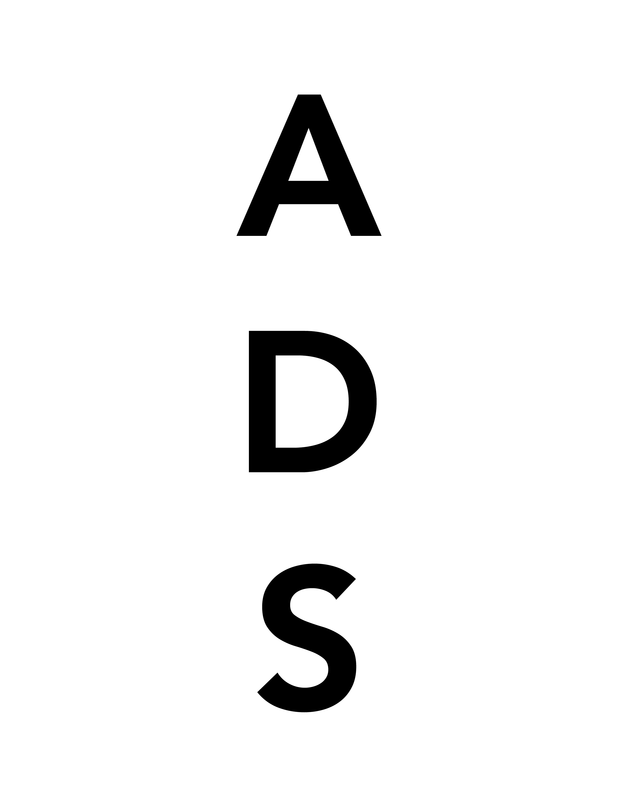 This crap is considered art? I guess it just goes to show there are a lot of stupid millionaires out there. Why … why … why does nobody dare to say what the “works” of so-called artists like a Damien Hirst really are: namely a joke, not worth crossing the street for. It is sad that people of means pretend to see art in this kind of trash and waste millions for fear of appearing uncultured. 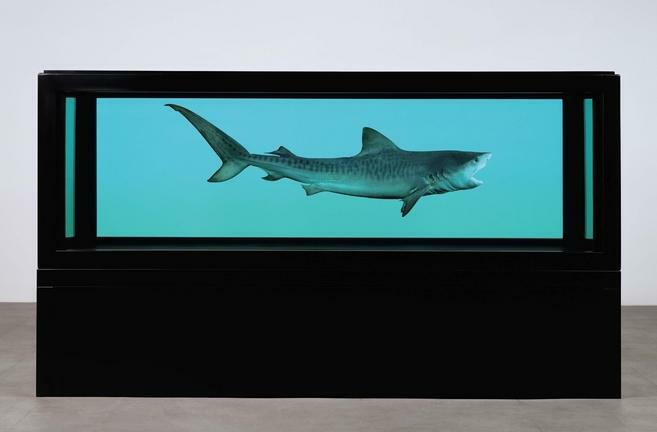 Hirst knew he could take his work straight to auction without worrying at all. He knew that Gagosian and Jay Joplin would be at Sotheby’s ensuring that the auction was not going to be a flop, bidding and pushing up prices throughout…and so they were. (It actually makes me happy knowing that while most artists are at their dealer’s mercy Hirst has managed to turn things on their head. )Of course taking his work straight to auction and its great success just highlighted the desperate situation and relationship between art and money that he has been focussing in his work (‘For the love God’ for example) What a lot of you idiots don’t understand is that Hirst is mocking the system. right on point. People take note. Warhol was the same way.